HELEN BACOVCIN is a translator living and working in New Jersey. WALTER J. CISZEK, S.J. (19041984), spent twenty-three years in the Soviet Gulag and is now being considered for canonization in the Roman Catholic Church. - Publisher This enduring work of Russian spirituality has charmed countless people with its tale of a nineteenth-century peasant's quest for the secret of prayer. Readers follow this anonymous pilgrim as he treks over the Steppes in search of the answer to the one compelling question: How does one pray constantly? Through his journeys, and under the tutelage of a spiritual father, he becomes gradually more open to the promptings of God, and sees joy and plenty wherever he goes. Ultimately, he discovers the different meanings and methods of prayer as he travels to his ultimate destination, Jerusalem. 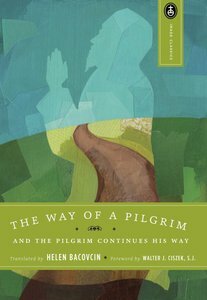 About "Way of a Pilgrim"
This enduring work of Russian spirituality has charmed countless people with its tale of a nineteenth-century peasant's quest for the secret of prayer. Readers follow this anonymous pilgrim as he treks over the Steppes in search of the answer to the one compelling question: How does one pray constantly? Through his journeys, and under the tutelage of a spiritual father, he becomes gradually more open to the promptings of God, and sees joy and plenty wherever he goes. Ultimately, he discovers the different meanings and methods of prayer as he travels to his ultimate destination, Jerusalem. HELEN BACOVCIN is a translator living and working in New Jersey. ýWALTER J. CISZEK, S.J. (1904-1984), spent twenty-three years in the Soviet Gulag and is now being considered for canonization in the Roman Catholic Church.